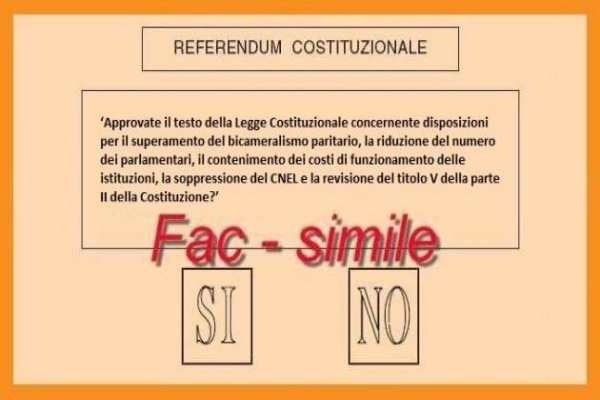 Ci siamo… Il referendum costituzionale che ha occupato il dibattito politico e l’informazione per tanti mesi (forse troppi.!.) è veramente, e finalmente, alle porte. Anch’ io non ho resistito alla tentazione di offrire a chi mi segue un piccolo contributo, relazionando un interessante evento, organizzato dalla Fondazione Corriere della Sera con tre esperti (Flick, Panebianco e Pasquino) e intervistando un giovane favorevole alla riforma ( Stefano Castoldi). Come avevo anticipato e promesso, ho cercato una voce contro questa riforma e sono riuscito a trovarla. La par condicio è salva. 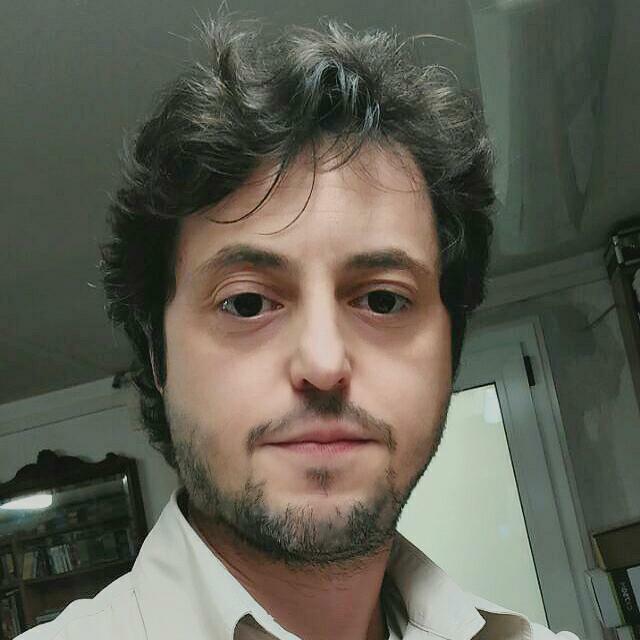 Si tratta di Marco Sacca, quarantenne piacentino, tecnico informatico molto preparato, con varie esperienze di lavoro alle dipendenze e ora in cerca di lavoro. Come ti sei informato sulla riforma costituzionale oggetto del referendum che si terrà il 4 dicembre? Vivendo per lavoro a stretto contatto quotidiano con i nuovi mezzi di informazione, direi soprattutto attraverso internet e seguendo vari blog di attualità e di gruppi politici. Quali i motivi che ti hanno portato a decidere di votare “no” alla riforma? Tanti, diversi e complementari. Prima di tutto, non ritengo sia una riforma innovativa, poi sono convinto che conservi e rafforzi il potere centrale a danno delle autonomie, private di ogni mezzo finanziario. Inoltre, i costi del Senato diminuiranno solo di un quinto e la riforma non supera il bicameralismo, ma lo rende più confuso e crea conflitti di competenza fra Stato e Regioni e tra la Camera e il nuovo Senato. Infine, non garantisce la sovranità popolare, perché insieme alla nuova legge elettorale Italicum, già approvata, espropria la sovranità al popolo e la consegna a una minoranza parlamentare. Da qui alla data della consultazione, potranno cambiare le previsioni che danno il “no” vincente? Non credo proprio e, naturalmente, mi auguro di no! 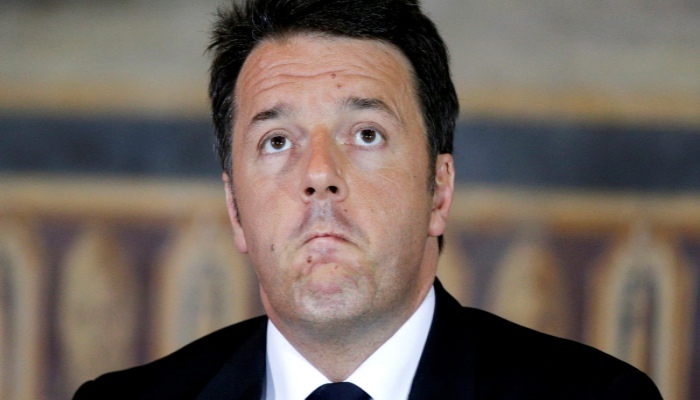 Pensi che la personalizzazione fatta, almeno all’inizio, da Renzi abbia in qualche modo influenzato molti di coloro che vedono nel “no” alla riforma anche un voto contro Renzi e il suo governo? Dire no a questa riforma (che ripeto, per quanto mi riguarda, non condivido per niente!) è anche il modo migliore per mandare a casa il prima possibile Renzi, divenuto premier senza passare dalle elezioni, a differenza di quanto lui avesse promesso. Come dovrebbe comportarsi il premier in caso di sconfitta dei “sì”? Dovrebbe dimettersi senza nessun indugio e dare la possibilità a persone oneste (MOVIMENTO 5 STELLE) di governare e aiutare finalmente tutti gli italiani, non solo i poteri forti dell’ Europa che ci stanno schiacciando. Dal tuo punto di vista, la gente si sta adeguatamente informando e ha chiaro quello che sta per scegliere? Secondo me sì, perché ormai quasi tutti riescono finalmente ad avere informazioni non pilotate, come quelle fornite dalle televisioni e, quindi, arrivare ad una visione più chiara e trasparente del perché Renzi e i suoi vogliono cambiare la costituzione, come ho già evidenziato sopra. 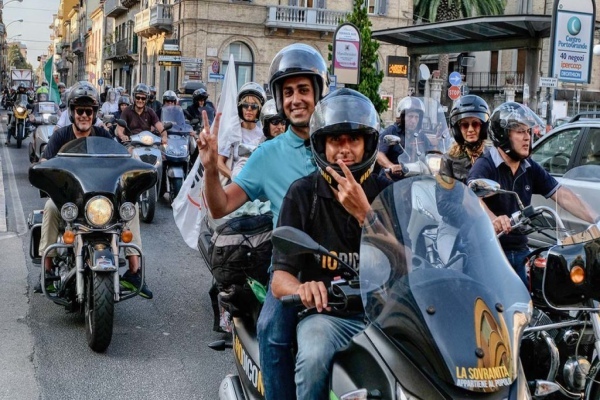 Quanto ha inciso nella campagna il Movimento Cinque Stelle con i suoi tour? Dal mio punto di vista, moltissimo. Sono riusciti a spiegare in maniera chiara e decisiva perché bisogna votare “no” ad una riforma sbagliata con la quale questo governo vorrebbe sempre più poteri, togliendoli ai cittadini del Paese. I just wanted to compose a brief remark in order to say thanks to you for some of the pleasant concepts you are giving out at this site. My time intensive internet investigation has at the end been honored with excellent tips to talk about with my guests. I would point out that most of us website visitors actually are definitely blessed to dwell in a fabulous site with very many special professionals with helpful tips and hints. I feel quite lucky to have discovered your entire webpage and look forward to really more pleasurable times reading here. Thanks a lot again for everything. My spouse and i were quite more than happy when John managed to finish up his studies from the precious recommendations he gained through your site. It’s not at all simplistic just to find yourself handing out methods that some other people may have been making money from. We really recognize we’ve got the writer to thank because of that. Those explanations you have made, the straightforward blog menu, the friendships you make it easier to create – it’s many extraordinary, and it is aiding our son in addition to our family feel that the theme is brilliant, and that’s very essential. Many thanks for the whole lot! My spouse and i were really joyous that Raymond could do his basic research out of the ideas he made while using the web page. It’s not at all simplistic to simply choose to be giving out things that many others might have been trying to sell. And we all do know we need the website owner to give thanks to because of that. The most important explanations you made, the straightforward blog navigation, the relationships you will assist to instill – it’s many fantastic, and it is leading our son in addition to us reason why this issue is awesome, which is truly mandatory. Many thanks for the whole thing! I’m just commenting to make you be aware of of the fantastic experience my princess encountered visiting your web site. She figured out many details, which included what it’s like to possess a marvelous coaching mood to let other folks effortlessly master selected impossible subject matter. You truly exceeded people’s expected results. Thank you for presenting such practical, trustworthy, educational and even cool tips about your topic to Janet. Thanks for your own work on this blog. Kim really loves conducting investigation and it’s really easy to understand why. Most people know all about the powerful method you render very helpful suggestions through the website and as well as strongly encourage participation from others on this concept plus our favorite simple princess is becoming educated a whole lot. Have fun with the remaining portion of the year. You’re conducting a tremendous job. I am only writing to let you understand what a outstanding discovery my wife’s daughter enjoyed using the blog. She picked up such a lot of details, which include what it is like to have an awesome giving nature to let men and women smoothly understand various extremely tough subject areas. You actually did more than people’s desires. Thank you for presenting such warm and helpful, trusted, edifying not to mention cool guidance on your topic to Mary. I simply wanted to appreciate you once again. I am not sure what I would’ve implemented in the absence of these tactics documented by you relating to such question. It has been a very frustrating case in my position, however , being able to see the expert approach you processed that forced me to leap with contentment. Now i am happy for this information and even hope that you know what a great job your are accomplishing teaching the rest through the use of a blog. I am certain you’ve never encountered any of us. Thank you for all of the hard work on this site. Betty really loves setting aside time for investigations and it’s easy to see why. We learn all concerning the lively method you present vital guidelines via this blog and boost participation from some others on this concern plus our child is really learning a lot of things. Take advantage of the rest of the new year. You are carrying out a useful job. I am glad for writing to let you know of the really good discovery my friend’s princess had visiting your web site. She figured out such a lot of issues, which included what it’s like to possess an ideal giving nature to make other individuals easily gain knowledge of specified tricky issues. You actually did more than her expected results. Thank you for delivering these useful, healthy, educational and as well as easy tips on your topic to Julie. My husband and i were so satisfied Peter could conclude his web research with the ideas he made using your web page. It is now and again perplexing just to possibly be giving away secrets and techniques that others might have been making money from. And now we consider we’ve got you to give thanks to for this. Those illustrations you made, the simple site menu, the friendships you can assist to promote – it’s got all exceptional, and it’s facilitating our son in addition to us know that that article is thrilling, and that is really indispensable. Thanks for the whole thing! I precisely had to appreciate you once more. I do not know the things that I might have created without the actual advice shown by you about that theme. Entirely was a very frightening problem in my position, but being able to view a new skilled approach you solved it forced me to weep over contentment. Now i’m happy for this assistance as well as have high hopes you find out what a great job you are getting into educating the rest through the use of your web page. I am certain you haven’t got to know all of us. I simply had to say thanks yet again. I am not sure the things I would’ve undertaken in the absence of those hints discussed by you regarding such a subject. It has been the alarming condition for me personally, but finding out the very professional fashion you solved that made me to jump with gladness. I am just thankful for this support and in addition sincerely hope you really know what a powerful job you’re putting in teaching most people through the use of your web site. Most likely you haven’t come across all of us. I simply wanted to post a message so as to appreciate you for those amazing tips and tricks you are writing at this website. My time intensive internet investigation has at the end of the day been rewarded with awesome information to exchange with my friends and family. I ‘d mention that most of us website visitors are unquestionably endowed to exist in a notable community with very many wonderful individuals with insightful solutions. I feel quite lucky to have encountered your entire website and look forward to some more excellent times reading here. Thank you once more for a lot of things. I needed to draft you one little bit of word to finally say thanks a lot again for these magnificent methods you have shared above. This is quite tremendously generous with you to supply openly what exactly most people could have marketed as an e-book to make some bucks on their own, most notably seeing that you might have tried it in case you wanted. Those smart ideas as well acted like a fantastic way to be aware that some people have the identical eagerness the same as my own to find out somewhat more in respect of this issue. I’m certain there are lots of more pleasurable moments ahead for many who scan through your website.